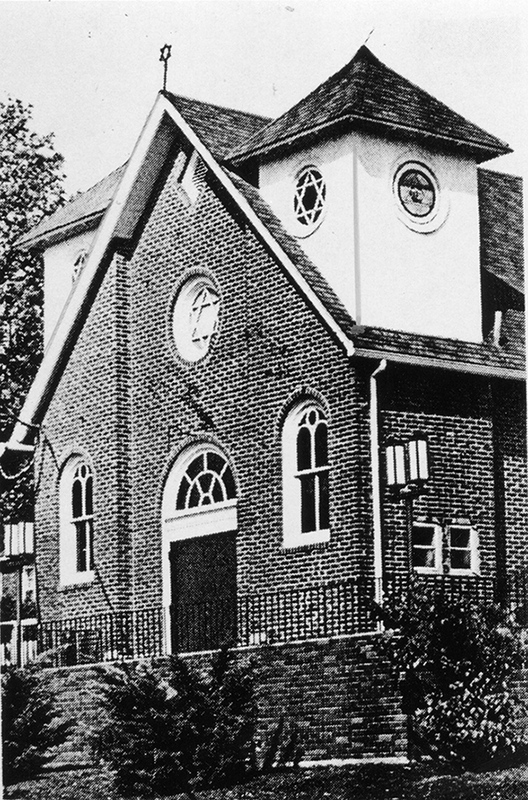 At a brunch at the Pine Brook Jewish Center on Feb. 21, congregants were reminiscing about the small group of Orthodox farmers who, in 1896, started what would become the first synagogue in Morris County. Lena and Josef Konner were among the first to move to the area from Newark, taking advantage of a grant from the German-Jewish financier Baron Maurice de Hirsch to help immigrant Jews establish themselves in agriculture. As soon as a critical mass of Jews followed, the Konners started Chevra Agudas Achim Anshy with 35 families. The brunch kicked off PBJC’s 120th anniversary celebration, which will culminate in a gala dinner in May. “It’s a way of looking back and seeing the richness of the congregation — how it started as a small farming community, part of the Baron de Hirsch farming grants, and then became a small township,” said Rabbi Mark Finkel. “In some ways, part of the personality is still small town and as a distant suburb of New York,” he added. The closeness and warmth that characterized the early years of the congregation became a signature of the community for many decades, as the progeny of the founding families married each other and remained in the community. Even today they return to be buried in the section of the cemetery donated by an early member. Although most of the agricultural history of the Jewish and larger community has mostly faded away, there are still glimpses — like the Bader Farm. Its farm stand has been on Changebridge Road since 1955, and still offers fresh fruits and vegetables as the farm has since 1892. Ivan Bader, a fourth-generation resident, runs the stand with his wife Jean and their children. He is still a member of the synagogue. Speaking with some of the members who have always been the ones to step up when needed, serving as president of the congregation or sisterhood, reveals how sudden and sometimes dramatic demographic shifts have affected the synagogue and its membership. At first the congregation met in the Konners’s home. (And because they found that Lena cooked better than Josef farmed, they transformed their property, first into a boarding house, then into the first kosher hotel in the area.) It served as the synagogue headquarters until the first building was erected in 1912 on Changebridge Road. By the 1960s when Jory Schlenger, a past president, joined, it was still a small congregation of “40 or 50” families. 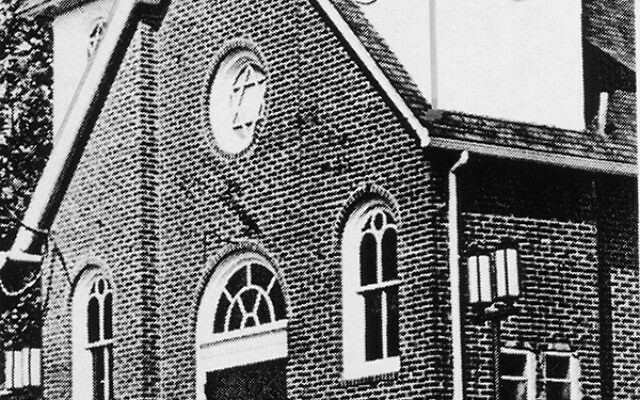 In 1962 they jettisoned the old name in favor of Pine Brook Jewish Center, and by all accounts, it was by then nominally Orthodox, with congregants leaning more Conservative — albeit traditional — than Orthodox. In 1972 they affiliated with the United Synagogue for Conservative Judaism. They were still in the original building, but had completed two of three expansions (1950 and 1964; the next one would come in 1973). In 1979, the congregation rejected plans for a fourth expansion and instead decided to move. The new building was completed in time for the High Holy Days in 1982. Schlenger had hoped for another expansion of the old building, perhaps adding a second floor. But he acknowledged the soundness of the decision. “It turned out well because we had a large increase in membership,” he said. The membership committee continued its practice of going out to people’s homes and asking them to join. Women’s roles at the synagogue changed significantly in the 1980s, both on the bima and in other ways. Rabbi Asher Krief, who led the synagogue from 1974 until 2001, instituted the adult bat mitzva in the early 1980s, and attracted large groups for the first several years. Social changes also affected the sisterhood. Crane, who was sisterhood president in 1982 (also the year she celebrated her own adult bat mitzva) recalled that its meetings would regularly attract 80 members. To accommodate working women, the meeting times were changed from daytime to evenings and Sunday brunch. The congregation changed profoundly during the 1990s. The completion of Route 287, enabling a commute from the area in any direction, brought large numbers into the township and the congregation. A 1994 merger with Lake Hiawatha Jewish Center brought another 150 new members to PBJC’s nearly 200. That influx led to a final 1998 expansion, but also a rabbinic change. “Younger people gravitated toward us,” said Feldman. Krief, now rabbi emeritus, stepped down in 2001, and after several years of interim rabbis, in 2007 the congregation hired Rabbi Finkel, who was ordained by the Reconstructionist Rabbinical College in 1979. The congregation’s membership peaked in 2010 at 500 families, and has dropped to about 425.